The Nazis had a similar idea for the space station they were designing back in the 1930s. They were going to grow pumpkins on board to produce oxygen. I suppose they could also have been used for food. I wonder how difficult it would be to make the ISS self sustaining so that it did not need to be resupplied at all? Solar panels could produce electricity, water filtration units could recycle and purify the water, plants could be grown to produce both oxygen and food. i suppose it would be possible to make it so people could live up in that thing indefinitely...or at least until it fell out of orbit and crashed. WASHINGTON (AP) -- The International Space Station is dodging a softball-sized piece of space junk. MOSCOW – Worrisome cracks in its spacecraft have forced Russia to postpone two manned launches to the International Space Station (ISS), the Interfax news agency reported Friday -- echoing a 2011 situation that left the country's space transport vehicles grounded and led to speculation that scientists may be forced to abandon the orbiting space base. It's too early to say what sort of impact the delay could have on the current space station crew, NASA spokeswoman Kylie Clem told FoxNews.com, but current crew should be fine. In testimony before Congress today, NASA’s Inspector General discussed NASA’s IT security efforts, and discussed some of the attacks and thefts that have plagued the agency’s assets. Some of the numbers discussed are somewhat eye-opening, but it’s difficult to say whether NASA has a significant problem compared to other agencies, since NASA is a rare Federal agency that consistently monitors such incidents. Surprisingly, most NASA assets aren’t encrypted. The Federal Agency average is about 54% of laptops or other mobile devices encrypted. The NASA rate is 1%. This story was updated at 8 a.m. ET. A leftover piece of an old Russian satellite forced six astronauts on the International Space Station to take shelter in a pair of lifeboat-like space capsules today (March 24), but zipped harmlessly by the outpost to the crew's relief. The piece of space junk was spotted too late to move the orbiting laboratory out of the way and flew as close as 6.8 miles (11 kilometers) when it zoomed by at about 2:38 a.m. EDT (0638 GMT), NASA officials said. While the chances of collision were remote, the potential danger of a hit was enough for Mission Control to order the station crew — which includes three Russians, two Americans and a Dutch astronaut —to seek shelter in two docked Soyuz space capsules just in case a quick escape to Earth is required. "I don't see anything, which is good news," one of the station astronauts said in Russian, which was translated in a NASA broadcast. NASA and its partners typically order an avoidance maneuver when a piece of space junk is expected to pass close by the space station and there are several days of advance notice. But this latest space debris threat was initially spotted on Friday morning, too late to plan a major maneuver, NASA officials said. "We're not too concerned about it, but it's too late to do a [debris avoidance maneuver]," station flight director Jerry Jason radioed station commander Daniel Burbank, of NASA, and his crew late Friday. According to NASA updates, the space debris is a remnant of the Russian Cosmos 2251 communications satellite. In 2009, the defunct spacecraft crashed into the U.S. satellite Iridium 33 in a massive space collision that created a huge cloud of more debris. The crash created 2,000 pieces of orbital debris. While the size of the space debris was difficult to pin down, it was "relatively small," NASA spokesman Rob Navias said during NASA TV commentary of the space trash flyby. NASA astronaut Don Pettit, who is the other American aboard the space station, radioed Mission Control Friday to say he hoped to try and snap a photo of the space debris if it was possible. But the space debris whizzed by the space station unseen. Space junk is a growing threat for astronauts on the space station, as well as other satellites orbiting Earth. According to recent estimates, there is about 6,000 tons of space debris in orbit today. NASA and the U.S. military's Space Surveillance Network regularly track about 20,000 pieces of the debris in order to help other active satellites avoid collisions with the orbital trash. The European Space Agency's third Automated Transfer Vehicle (ATV-3) launched into orbit on March 23, and arrived at the space station five days later, on March 28. The robotic cargo ship delivered about 7 tons of supplies, including water, oxygen, food, clothing, experiments and propellant. The robotic ATV vehicles are designed to automatically dock to the space station. In this photo, the ATV-3 is approaching its parking spot at the Zvezda service module on the Russian segment of the orbiting complex. The photo shows the ATV-3's distinctive x-wing solar arrays bathed in light from the spacecraft's sophisticated laser guidance system. The starry night sky and the glow of lights from Earth below make up the remarkable backdrop, as the two vehicles fly 240 miles (386 kilometers) above the planet. American astronaut Don Pettit shared a version of the docking photo on Twitter the following day. "ATV docks, breathing fire and bringing good stuff," Pettit wrote under the name @astro_Pettit. Europe's Automated Transfer Vehicle (ATV-3) named Edoardo Amaldi docked with the International Space Station at 6:31pm EST on March 28th, 2012. Expedition 30 Commander Dan Burbank gives a video tour of the International Space Station, highlighting some of the science facilities and equipment aboard the orbiting laboratory. Auntym. That was a very interesting tour of the space station. It seem to have much more room inside it than I imagine. They sure have thought of every thing and any thing when it was built. They had to. Human life is aboard. 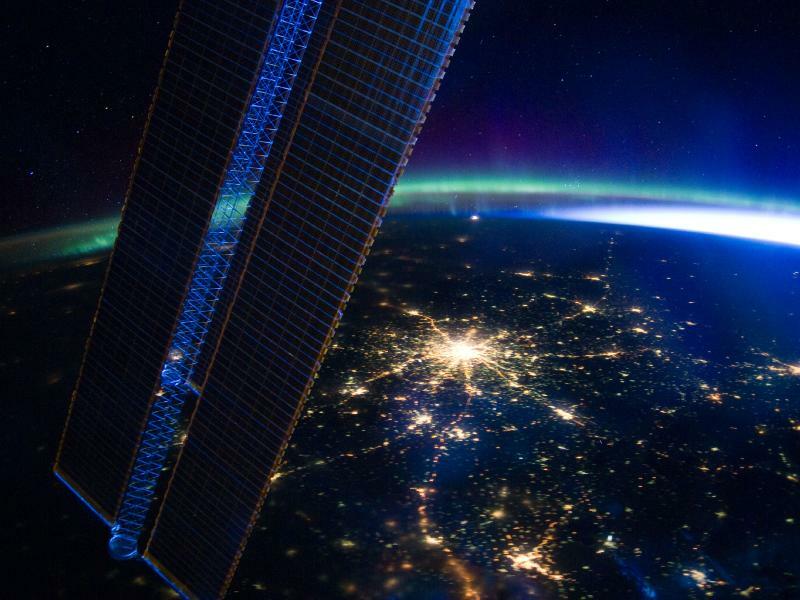 Moscow at Night, ISS, Aurora Borealis...all in one! Moscow appears at the center of this nighttime image photographed by the Expedition 30 crew aboard the International Space Station, flying at an altitude of approximately 240 miles on March 28, 2012. A solar array panel for the space station is on the left side of the frame. The view is to the north-northwest from a nadir of approximately 49.4 degrees north latitude and 42.1 degrees east longitude, about 100 miles west-northwest of Volgograd. The Aurora Borealis, airglow and daybreak frame the horizon. The Center for the Advancement of Science in Space (CASIS) and Naannacks now offer commercial researchers the opportunity to conduct experiments on external platforms of the International Space Station, exposing that research to the elements of space. 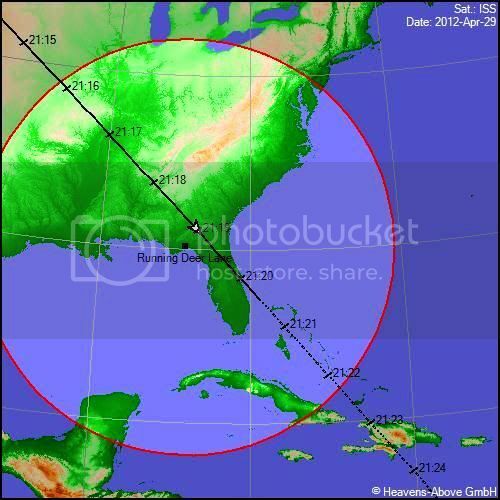 Sse when the International Space Station will pass over your house, visit NASA's sightings page: Night views are best! An image allegedly showing a large, elongated craft at the bottom, with several smaller UFOs blinking in and out above it, filmed from the International Space Station with Earth in the background. UFOs are showing up in a variety of places, allegedly on Mars, around Earth, and even in close proximity to the orbiting International Space Station. Some space enthusiasts seem to have plenty of time on their hands to look at hours of live camera feeds from the ISS. When they spot something they deem to be unexplained, they instantly post it to YouTube. The videos just keep piling up, waiting their turn for reasonable explanations.  On Sept. 11, a video was posted by danielofdoriaa, claiming that NASA's ISS camera caught a huge, elongated UFO with smaller unidentified objects above it. Was this an alien mothership, ejecting other craft, perhaps on their way down to Earth or outward toward Mars? "I examined the video and believe that this is, unfortunately, another case of mistaken identity," said Marc Dantonio, chief photo/video analyst for the Mutual UFO Network. "The object seen outside the window isn't outside the window at all," Dantonio told The Huffington Post in an email. "In looking at the object closely, it is clearly in far less focus than the other items outside. "Earth, seen going by below and importantly, in the distance, is in focus, but the object is not. So, how could everything at maximum distance be in focus but the object -- also at supposed maximum distance as far as the camera is concerned -- not be in focus? It is because the object is not out there at all, but on the window." 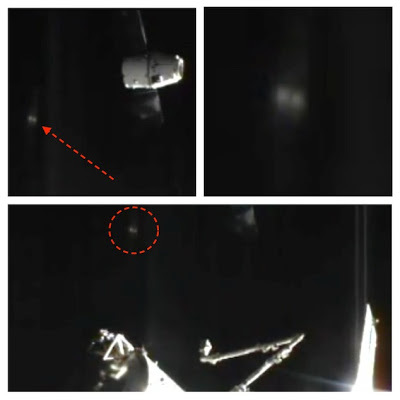 11TH SEPTEMBER 2012 GIANT UFO MOTHERSHIP ON ISS LIVE FEED, LETTING OUT ORBS?? OR SIMPLY A REFLECTION.. YOU DECIDE..
recording the ISS Live Stream as this picture appeared. NASA keep on filming as Ufo observes Space X docking. Image above: Crops tested in VEGGIE plant pillows include lettuce, Swiss chard, radishes, Chinese cabbage and peas. With all the prepackaged gardening kits on the market, an exceptionally green thumb isn't necessary to grow your own tasty fresh vegetables here on Earth. The same may hold true for U.S. astronauts living and working aboard the International Space Station when they receive a newly developed Vegetable Production System, called VEGGIE for short, set to launch aboard SpaceX's Dragon capsule on NASA's third Commercial Resupply Services mission next year. "Our hope is that even though VEGGIE is not a highly complex plant growth apparatus, it will allow the crew to rapidly grow vegetables using a fairly simple nutrient and water delivery approach," said Howard Levine, Ph.D. and chief scientist, NASA's Kennedy Space Center International Space Station Research Office. Gioia Massa, a postdoctoral fellow in the Surface Systems Group of Kennedy's Engineering Directorate, has been working with the International Space Station Research Office to validate the VEGGIE hardware here on Earth before it takes flight next year. "VEGGIE could be used to produce faster-growing species of plants, such as lettuce or radishes, bok choy or Chinese cabbage, or even bitter leafy greens" Massa said. "Crops like tomatoes, peas or beans in which you'd have to have a flower and set fruit would take a little longer than a 28-day cycle." It may not sound like a big deal to us Earthlings who can just run out to our local produce stand or supermarket when we have a hankering for a salad, but when you're living 200 miles above the surface of the planet, truly fresh food only comes a few times a year. "When the resupply ships get up there, the fresh produce gets eaten almost immediately," Massa said. Weighing in at about 15 pounds and taking up the space of a stove-top microwave oven, the stowable and deployable VEGGIE system was built by Orbital Technologies Corporation, or ORBITEC, in Madison, Wis. The company designed the system to enable low-maintenance experiments, giving astronauts the opportunity to garden recreationally. "Based upon anecdotal evidence, crews report that having plants around was very comforting and helped them feel less out of touch with Earth," Massa said. "You could also think of plants as pets. The crew just likes to nurture them." In simple terms, the VEGGIE system works like this: Clear Teflon bellows that can be adjusted for plants as they grow are attached to a metal frame housing the system's power and light switches. A rooting pillow made of Teflon-coated Kevlar and Nomex will contain the planting media, such as soil or claylike particles, along with fertilizer pellets. Seeds either will be preloaded in the pillows on Earth or inserted by astronauts in space. To water the plants, crew members will use a reservoir located beneath the pillows and a root mat to effectively add moisture through an automatic wicking process. I had watched this ( object ) closely as it was happening and saw all the footage. Imo, it was one of 3 things which I'll take a guess at from the 1st to 3rd. 1). I believe it was a reflection from the control room on the window which is my 1st guess. 2). A satellite was suppose to go up in orbit with the Dragon and be unleashed at a certain altitude but because of an initial failure during launch it didn't accomplish it's mission so it could be in a similar orbit with the Dragon following close by. 3). An alien spacecraft observing a docking procedure with the ISS and Dragon. Today marks the 12th anniversary of “continuous presence in space” aboard NASA‘s International Space Station. The first component of the ISS was launched into space in 1998, but it wasn’t until two years later when the first humans officially set foot into the Space Station — cosmonauts Yuri Gidzenko and Sergei K. Krikalev, and NASA astronaut Bill Shepherd. Since then, the International Space Station has been habited with astronauts and cosmonauts for 12 years now. People from 16 different countries have set foot into the ISS, and have continually been building on and improving the ISS since its launch. The International Space Stations travels around the Earth at approximately 17,500 mph, and has seen over 70,000 sunrises and sunsets. The previous record for the longest time a spacecraft has been continuously habited with humans was the Mir space station, which occupied astronauts and cosmonauts for almost 10 years and orbited the Earth from 1986 to 2001, when the International Space Station eventually started to take over in 2000. The ISS orbits approximately 225 miles above the Earth, and completes almost 16 orbits around the Earth per day. The most recent mission to the ISS was the privately-funded SpaceX Dragon capsule, which delivered around 1,000 pounds of various goods to the Space Station. More SpaceX missions are planned for the ISS in the future, and the ISS itself is expected to remain in orbit as late as 2028. Call it the ultimate absentee ballot. NASA astronauts aboard the International Space Station have the option of voting in tomorrow's (Nov. 6) presidential election from orbit, hundreds of miles above their nearest polling location. "You think about being in a foreign country and voting — he was actually on a foreign space station," Bolden told SPACE.com. The station's current Expedition 33 counts two Americans among its six-person crew — commander Sunita Williams and flight engineer Kevin Ford. But both of them have already had their say in Tuesday's presidential election, voting from Earth just like the rest of us. "They actually both did it while they were stationed in Russia, before they launched," Bolden said. Williams and Ford both rode to orbit aboard Russian Soyuz spacecraft, which launch from Baikonur Cosmodrome in Kazakhstan. Williams blasted off in mid-July, while Ford launched Oct. 23. Williams is slated to return to Earth on Nov. 12. When she departs, Ford will become commander of the new Expedition 34 mission, which runs through March 2013. This image was taken by an Astronaut on the International Space Station. This is an amazing UFO Photo. You can find the image on this site ftp://eol.jsc.nasa.gov/ This is a real UFO and the photo is from a government website which is amazing! What is this mysterious object? Crew-members onboard the International Space Station will celebrate the US day of thanks with a combination of American and Russian foods. Commander Kevin Ford runs though the list. Yes this is for fun. No I don't think it's aliens. No I don't think it is related to the end of the world. Yes the music is intentionally dark for effect. Hopefully it's obvious this is just my disclaimer and I have no idea what it is. You decide.